A few weeks ago we suspected Mad Catz were behind a video teasing a couple of products that features that sported a familiar style. Now, on the eve of CES 2018, Mad Catz have confirmed they are indeed defiantly back in the game after a short stint in kitty heaven. Suddenly inspired to buy a new PC rodent? Here are the best gaming mice around. Mad Catz have now returned to the PC peripherals game, albeit under new management. Hopefully this means we will see a few more mad-cat mice designs in the near-future, and ideally the new bosses can lead the company down some new and intriguing avenues for their product design. To celebrate their reanimation, Mad Catz have launched another teaser video, expanding on the first teaser with a few more glimpses of the products due to arrive. Three R.A.T mice make an appearance: the RAT 4+, RAT 6+, and RAT 1+. They seem to be fairly similar in design to the Mad Catz equivalent mice of old in initial shape, albeit with a few design changes. Even the 1 mouse, with its jutting out, disjointed palm rest, is back in the fold. Mad Catz are also planning a new RAT mouse, the Air. This is a wireless mouse that will be powered via a ‘wireless activation gaming surface’, or through a USB cable, if required. 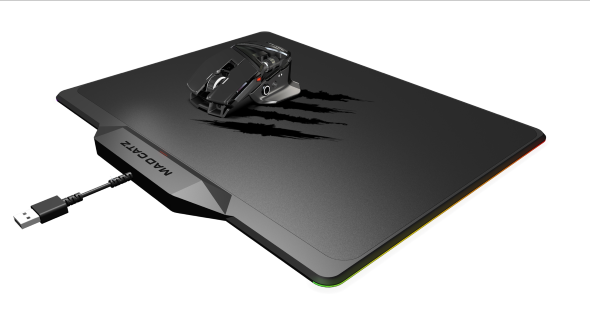 Mad Catz seem to be squaring up against Logitech’s equivalent wireless charging PowerPlay mice and mats with this model. 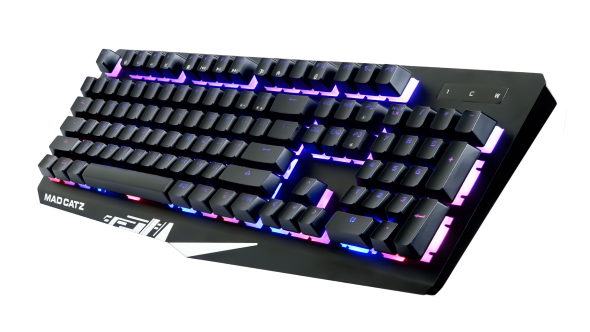 Mad Catz are also touting new STRIKE keyboards, FREQ headsets, and GLIDE gaming surfaces once these products launch. The new products are going to be demoed at CES 2018, so launch may not be too far off – at least for the familiar products from one of Mad Catz’s previous lives. Let’s hope these new products live up to Mad Catz new ‘come back stronger than ever’ mentality.